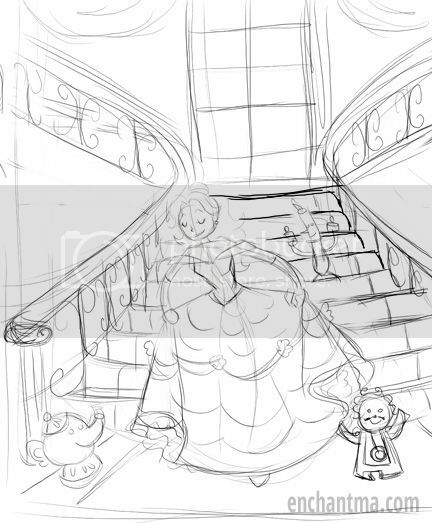 I was digging through old files, and came across this sketch that started my Disney Princess series. I honestly didn’t realize how well received my series was until I started finding it on Pinterest and all over Tumblr. Thank you everyone for the support and acknowledgement! I know a lot of you find my website through those random pieces. I appreciate you clicking on over here. I can’t believe it’s been so long since I put the series on hold. With my crazy work schedule it’s difficult to find time to draw for fun. I really miss the carefree art days where I could create whatever I wanted whenever I wanted, but I’m presently very grateful to be running a successful business. Thanks to those of you who still anticipate new work from me, even though that comes in such tiny increments now. Bear with me…I want to make time for hobby-art this year!